What Is the Galaxy Audio AS-900? Who Is this In-Ear Monitor System Designed for? Conclusion – Should You Consider the Galaxy Audio AS-900? 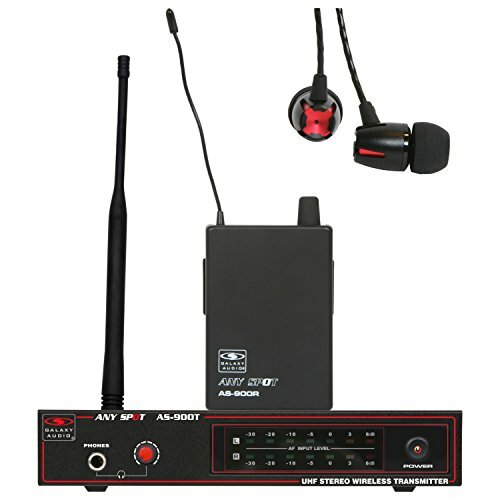 In-Ear Monitor System For Church Worship – What Is The Best For You? What Are The Best Stage Monitors For Church Worship Teams? For more than 40 years, Galaxy Audio has been creating music equipment. Relying on years of concert sound experience, the founders slowly changed the company from being a speaker rental company to manufacturing their own items and equipment. Over time, and by slowly including more products and categories and improving their quality and commitment to excellence, Galaxy Audio has become one of the most reliable and popular companies in the audio world. The Galaxy Audio AS-900 is a powerful fixed frequency wireless personal monitoring system. It is a single-level system that consists of both the transmitter and the receiver. Galaxy Audio released this equipment in 2015. Because it has a single-channel, as well as fixed-frequency operation, the Galaxy Audio AS-900 is easy to use. This appeals to beginners who don’t have a lot of experience with this type of equipment. Because it is so expandable, it’s a great choice for musicians who are looking for a system that can be used to start them out and then easily expand at a later time. This is a perfect entry-level system. It’s a lower price than a lot of other similar equipment, which makes it more affordable for beginners who may not be able to spend more on their monitoring systems. It’s an incredibly compact system, which makes it ideal for most users, no matter their size. Not only is it affordable, but the Galaxy Audio AS-900 is surprisingly lightweight, which means that it is perfect for wearing on the stage. Musicians and performers can easily move around the stage and won’t have to worry about losing the sound in their ear or feeling disconnected from other band members. Since the transmitter can easily handle multiple receivers at once, this is a great option for most any band, including praise bands, who need to be able to hear what is going on around them. The AS-900 is a single fixed frequency system. It is important that you choose an AS-900 frequency that is compatible in your location. The Galaxy Audio AS-900 ships with one pair of earbuds, one transmitter, and one receiver. It requires two AA batteries to be used, and they are included, as well. Even though this piece of equipment only ships with one receiver and set of earbuds, it’s easy to buy more separately when you are ready to expand your system and get more from your equipment. As well as having great volume control, the receiver features a low battery indicator that will alert users that they need to change it, well before their battery dies. Dealing with a dead battery in the middle of a performance can be a major problem, which is why this is so important. Since the Galaxy Audio AS-900 is a single fixed frequency system, users need to make sure that they choose a frequency that can be used in their location. This is one problem that some users run into and it is something important to pay attention to for the best use of this equipment. 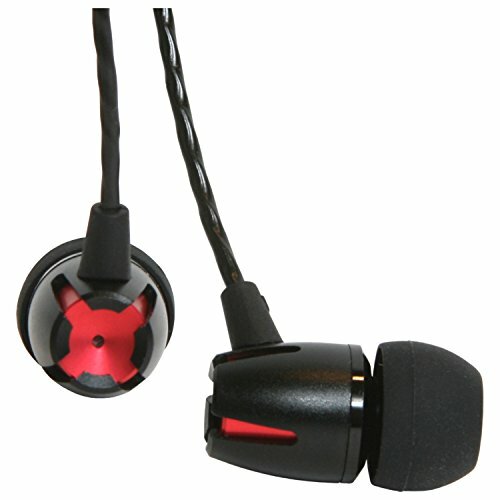 With such a long range, users can enjoy great sound quality without worrying about distortion, noise, or breaking up. This is a great design feature of the Galaxy Audio AS-900 and one that makes this equipment perfect to use in most any location, as users won’t have to worry about remaining close to the transmitter. Additionally, the earbuds included with the Galaxy Audio AS-900 are very comfortable, which is an important consideration. Users who are going to be using the AS-900 for longer periods of time won’t have to worry about suffering from pain when they have the earbuds in during performances. While the Galaxy Audio AS-900 is a great piece of equipment, it may not be right for you. If you are looking for something with a lower price tag, then you may want to consider the ANLEON S2 UT. This powerful wireless monitor system can easily handle an unlimited amount of receivers. It features a highly complex anti-interference circuit that ensures that users won’t run into problems when using this equipment. Another wonderful alternative to consider is the Shure P3TRA215CL. This boasts more advanced receiver controls, ultra-low noise, and one-touch frequency scan. 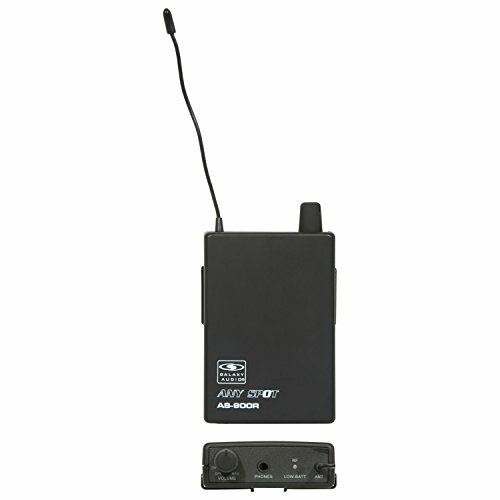 This allows users to quickly and easily find and use a clean wireless channel, as well as to adjust their volume and create a mix from two audio channels. All in all, this is one of the most powerful options on the market today. If you are a beginner and you are looking for a great in-ear personal monitor, then you will definitely want to consider the Galaxy Audio AS-900. This is a surprisingly powerful piece of equipment that offers great output, as well as a comfortable and lightweight receiver, making it easy for users to wear the equipment for long periods of time. It offers clear sound no matter how loud it is in the area where you are performing, which ensures that users are always connected to the rest of their band. Not only does it sound and feel great when in use, but the Galaxy Audio AS-900 is very discrete. This is perfect for musicians and performers who do not want their equipment to become a distraction to their audience. Because the Galaxy Audio AS-900 is so small, discrete, and comfortable, it’s easy for musicians to focus on making the best possible music without worrying about how they look and feel.